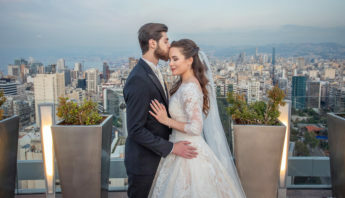 Would you like a perfect dream wedding? By choosing Vienna you are on the right track. Vienna (Wien) is the city for the romantic and aficionado – the city offers a unique opportunity for relaxation with its imperial atmosphere, wonderful castles, palaces and colorful landscapes. Vienna lures its visitors with its attractive and history-charged locations, from the Schönbrunn Palace (Schloss Schönbrunn) through the romantic locations by the Danube and the windy heights like the Wiener Riesenrad to the breathtaking view from Kahlenberg. 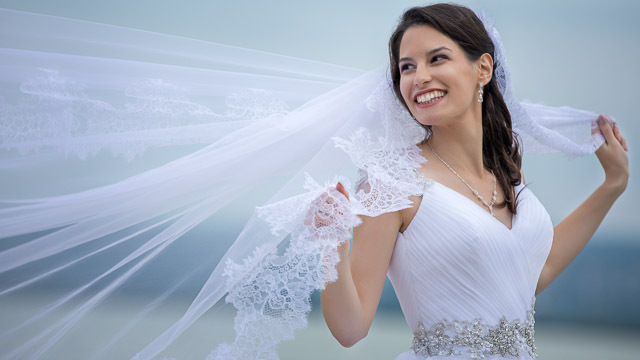 You can definitely achieve the dream of your perfect and wonderful wedding here. The colorful locations of Vienna offer you the exceptional chance to feel yourself great in a regal environment. 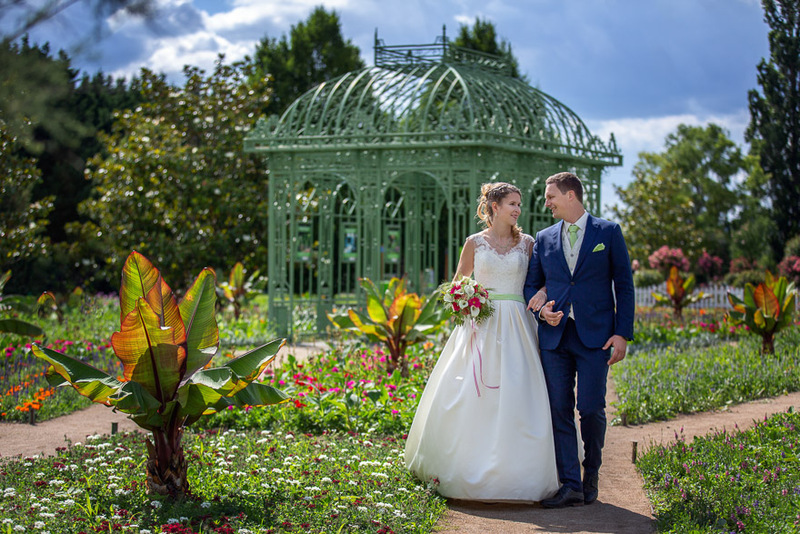 Hirschstetten Botanical Gardens (Blumengärten Hirschstetten) are amongst the most favored places in Vienna for weddings. The sixty thousand square meter park, with its huge variety of plants and flowers, offers numerous locations in which to get married. It is a great location for wedding portrait photo shoots, as well. Immerse yourself in the world of romance and red velvet of the 19th century in Café Sacher. With its chandeliers and gilt framed oil paintings there is a splendid atmosphere, where you can enjoy a hearty Sacher cake with apricot jam. 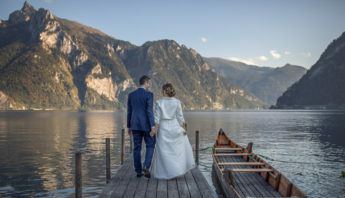 Hotel Sacher is one of the most prestigious and beautiful locations to get married in Austria, that makes your wedding photos and film fabulous. By hopping onto the Riesenrad (Vienna Giant Wheel) you can experience a dizzying view of Vienna. The smell of candyfloss and the carousel music fade away when the wheel elevates high over the green Prater as it does since 1897. It’s advisable to try it after dusk to have a view to the lit-up Vienna. 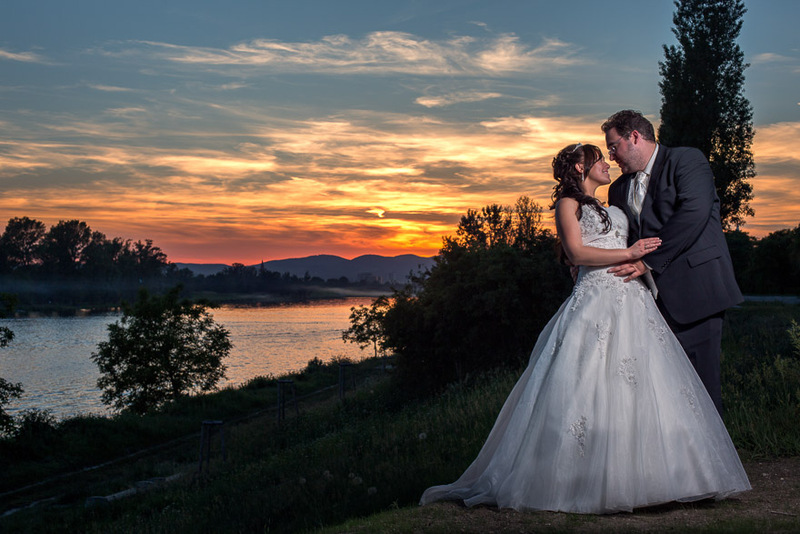 This location offers an exceptional opportunity for creative wedding portraits. The baroque regal apartments of Belvedere Palace and its lush garden offer a unique ambience to make your wedding an unforgettable experience for yourself and your guests. 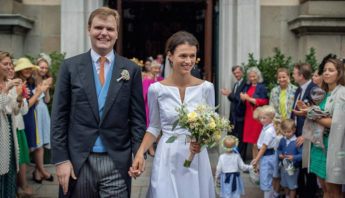 Both the civil ceremony (standesamtliche Trauung) and the church ceremony (kirliche Trauung) can be held at the Belvedere Palace, including your wedding dinner. The beautiful courtyard and gardens of the Belvedere Palace offer a great opportunity to make stunning wedding photographs and film. The Weißgoldzimmer (White Gold Room) on the ground floor of the Schönbrunn Palace (Schloss Schönbrunn) offers place for smaller and larger civil ceremonies. The onetime private rooms of the imperial family with a view to the garden is an unforgettable setting for your wedding ceremony. The pompous, regal environment will make your wedding photographs really shine. Der Donauinsel (Danube Island) is a small green island east from the centrum of Vienna with paths on the riverbank and its beaches, even paddleboat rental is possible. Occasionally outdoor weddings are held here and the place is great for photography in the nature. The imperial Schmetterlingshaus (Butterfly House) is a greenhouse in Burggarten built in Jugend style. It’s a unique place for civil ceremonies and receptions for up to 60 wedding guests. Schmetterlingshaus with its tropical plants, exotic flowers and romantic waterfalls is not the least a stunning location for wedding photography. The fabulous Hofburg was the onetime centrum over the 600 year-long rule of the Hasburgs housing the imperial apartments and a treasury with huge, glittering rubies. The spacious halls of Hofburg are huge enough for civil ceremonies even with 340 guests. 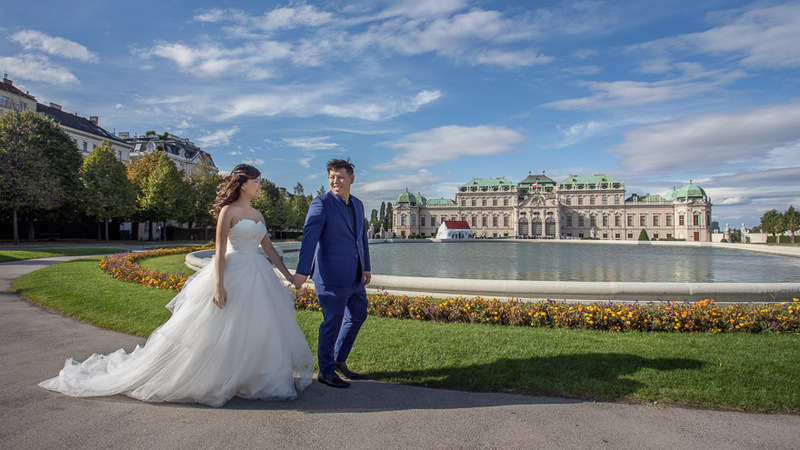 You can even hold your wedding dinner here and the breathtakingly pompous architecture of Hofburg offers excellent opportunity for wedding photography and cinematography.